ZeniMax, the owner of game studios Bethesda Softworks and id Software, has been awarded $500 million by a jury in its lawsuit against Oculus Virtual Reality and its parent company, Facebook, according to Polygon. Oculus said they plan to appeal the verdict. Facebook purchased Oculus VR in 2014 for $2 billion. After deliberating for two and a half days, the jury concluded Oculus did not appropriate Zenimax’s trade secrets. Still, there will be jury awards for other wrongdoing. According to Polygon, Oculus is paying out $200 million of the $500 million judgement because Oculus founder Palmer Luckey broke a non-disclosure agreement with Zenimax. The company is also on the hook for $50 million for copyright infringement. Both Luckey and Oculus will each have to pay $50 million for false designation. Brendan Iribie, the former CEO of Oculus, is also ordered to pay $150 million for false designation. We’ve reached out to ZeniMax and will update this story when we hear back. 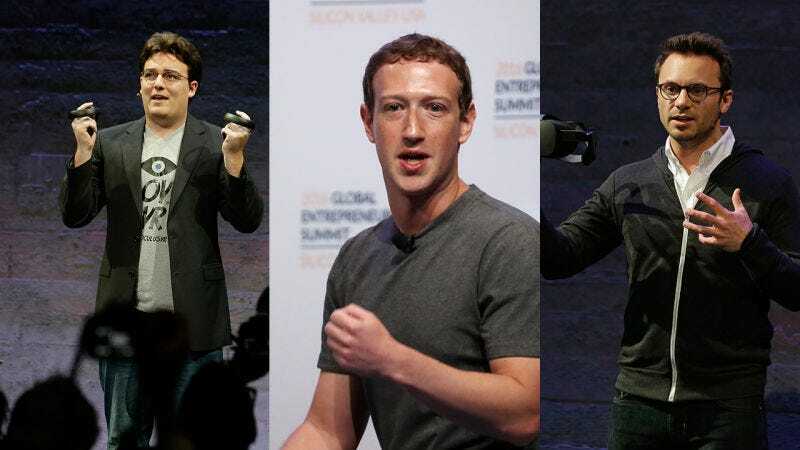 This is the conclusion of a three week trial during which Facebook CEO Mark Zuckerberg, Oculus founder Palmer Luckey, former Oculus CEO Brendan Iribe and Oculus Chief Technology Officer John Carmack all testified in a Federal courtroom in Dallas, Texas. ZeniMax alleged that Facebook was complicit in stealing trade secrets from ZeniMax in part when Facebook hired former Senior ZeniMax employee Carmack away to work as CTO, and that Luckey violated a non-disclosure agreement he signed with ZeniMax. ZeniMax disputed the widely accepted story of the creation of the Oculus Rift headest, which holds that Luckey developed it in his parents’ garage. ZeniMax claimed that in reality, Carmack had reimplemented things he worked on while he was an employee at id after he joined Oculus. ZeniMax tried to prove this point to jurors by showing a video interview where Carmack shows off a functioning virtual reality headset before he had ever met or collaborated with Luckey.